It keeps me warm and looks stylish. I bought it slightly larger so I could wear hoodies under it. 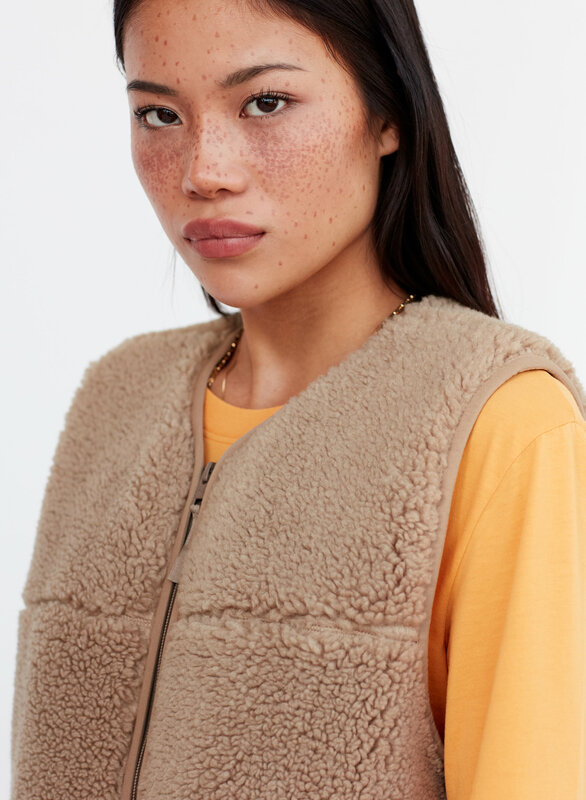 I've been so scared on jumping to the faux animal fur vest. So when I saw this I gave it a try and loved it! You can wear it as a casual wear or dress it up! It keeps you warm as well! 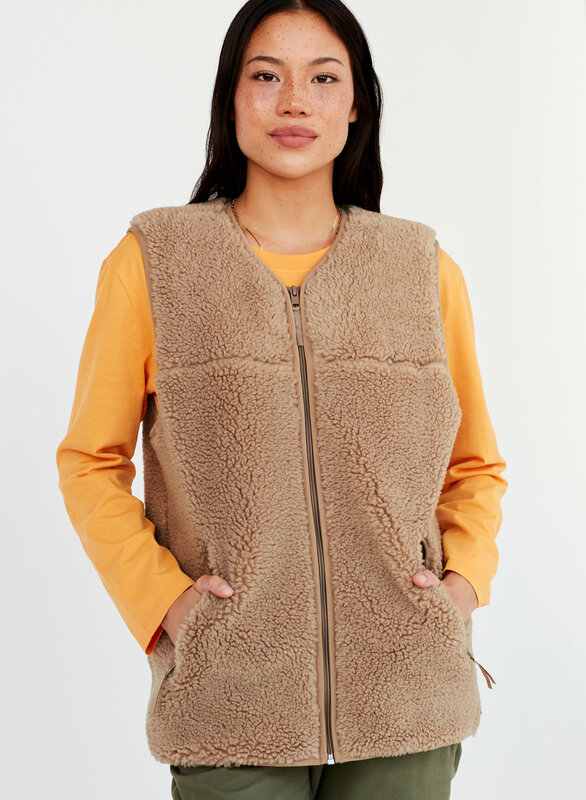 This vest has an oversized fit on my petite frame, which is great as I can wear a thick sweater underneath it without tightness in the underarm area. I got it in black it's very warm and looks great with many outfits. 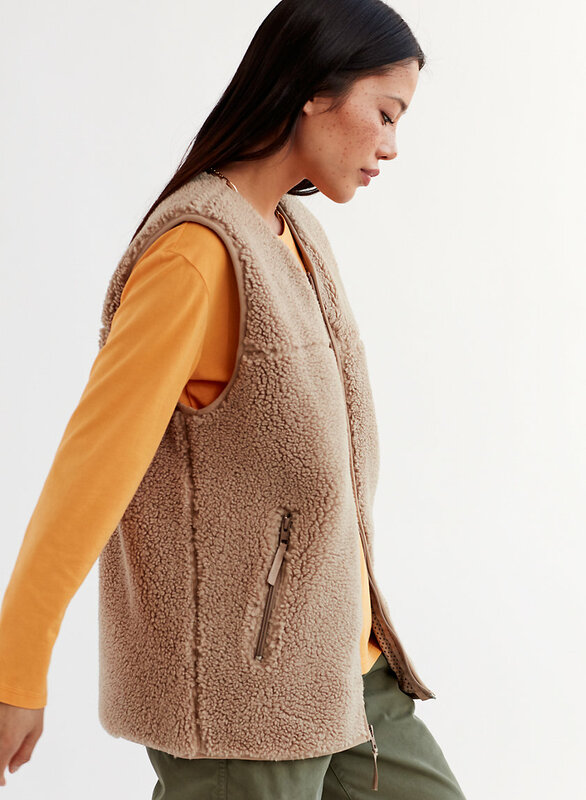 Love this vest! Fits good and is so cute! 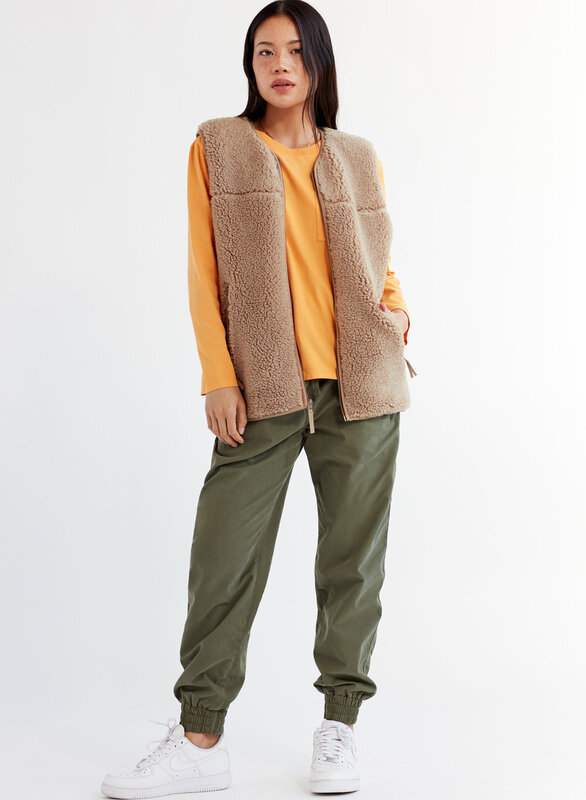 Cozy vest however fits larger than actual size. It's my favorite winter piece of clothing. I ordered the black one and I will definitely order it in another colour. 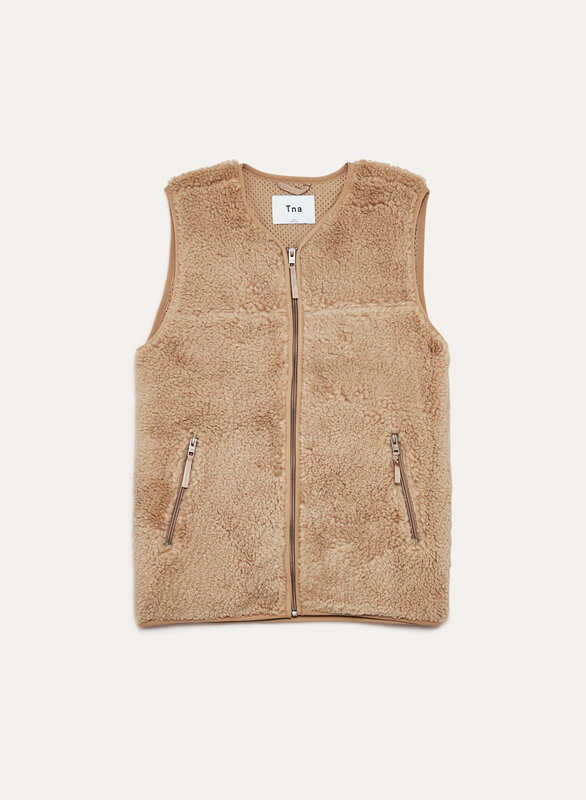 I wish Aritzia had it in cream but I will order the beige one. 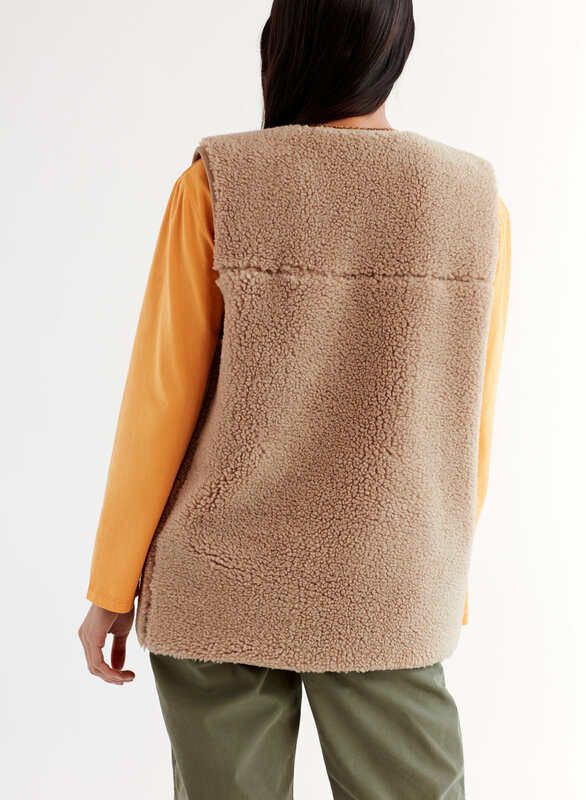 Pockets are lined with a soft fabric.